There are so many activities that are available for the majority of a population and everyone can find something to do. If you are a person interested in art, drawing and paintings are all you need. Or maybe you are an athlete wanted to become stronger and harder, make an effort to broaden new horizons, so different hard sports like Crossfit or Gym are up to you. But if you are looking for a harmony with your body, balance, and calm, yoga is the best option. Different poses will help you to feel every cell in your body and learn how to understand its signals. What if you do not have enough time to go to a Yoga Centre or group classes ? 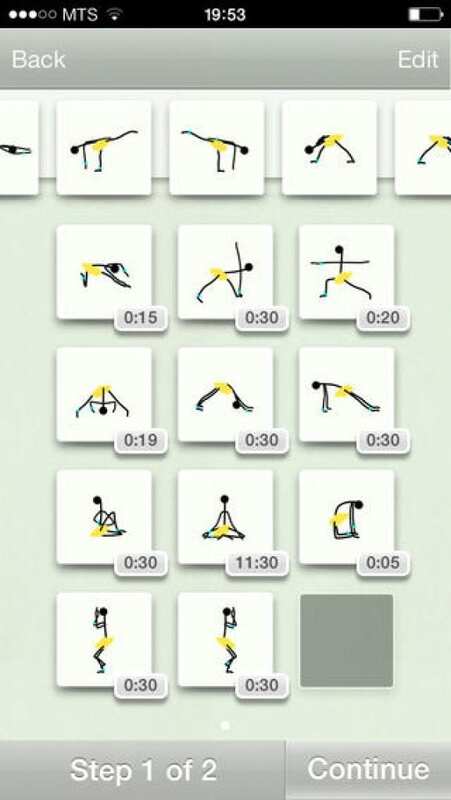 Of course, do yoga at home, using your iPhine or Android! Moreover, nobody can see you doing yoga if you embarrass you are not a pro. 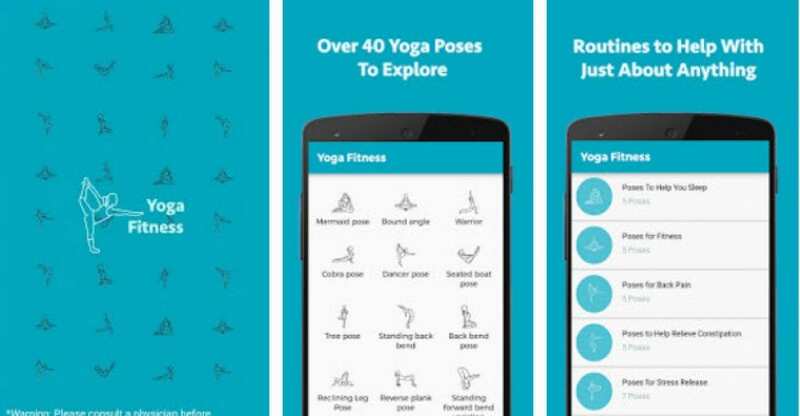 We prepare several great apps for yoga, so you can do it wherever and whenever you want. 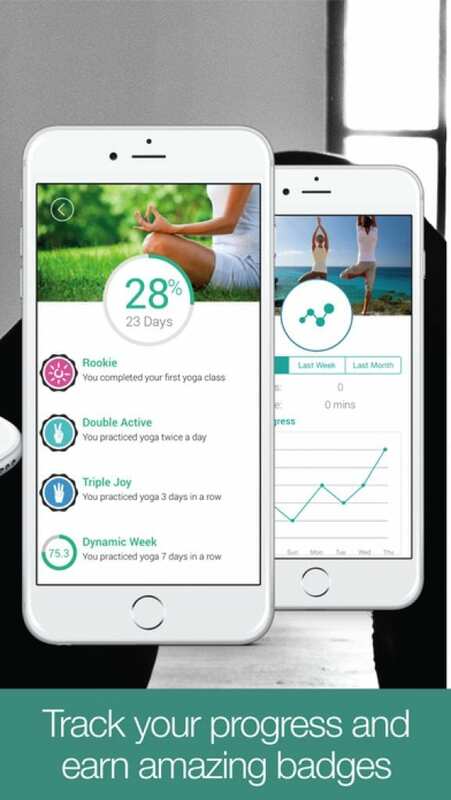 Another plus is that the majority of apps are free and you don’t have to pay for a personal coach or group classes, but do yoga on your way with a personal electronic coach. By the way, check our other posts for active people: 20 Best ever travel apps for iPhone and iPad– a full guide for travelers searching for adventures and challenge. Of course, you will want to share your feelings with your friends and the best and fast way to do it download one of 17 Best SMS apps for Android 2016. 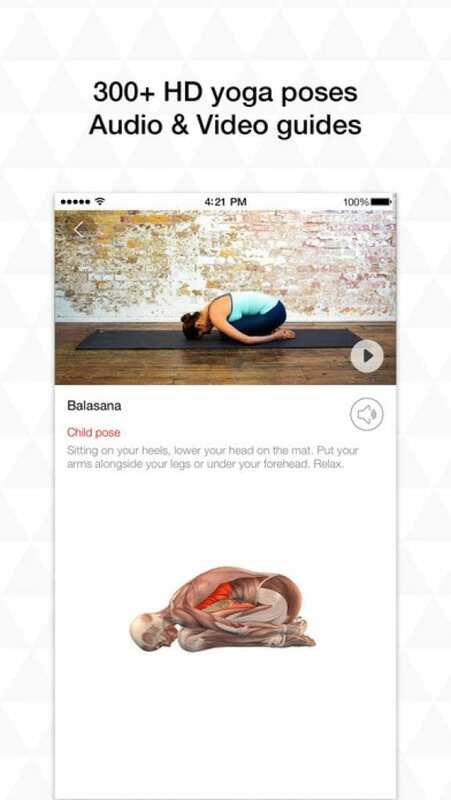 The best Yoga app of 2016! The best option for those people who enjoy being in a harmony with their bodies. Practicing yoga gives you an opportunity to increase your strength, balance and flexibility while losing weight, burning fat, toning your body and relieving stress. A huge library of sessions with poses from beginners to experts will help you to pick up the basics or become a real professional in yoga. 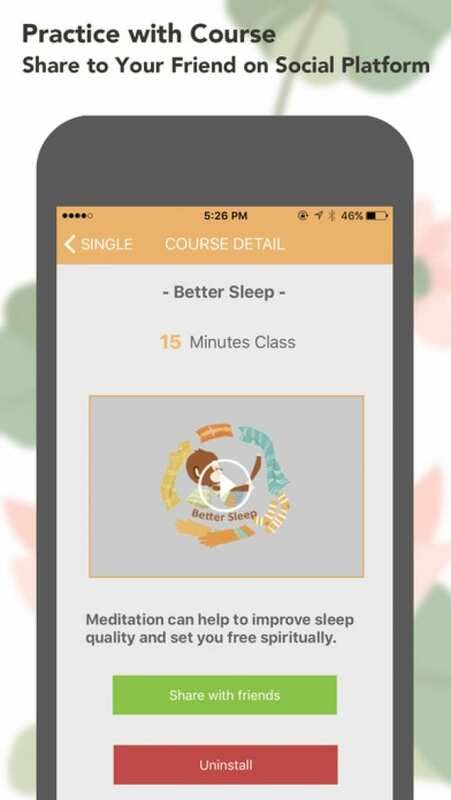 Easy-to-follow HD videos with audio instructions will guide you through each yoga sessions – just like a personal yoga instructor! Listen to ambient backdrops while exercising to calm your mind and bring you into the zone. 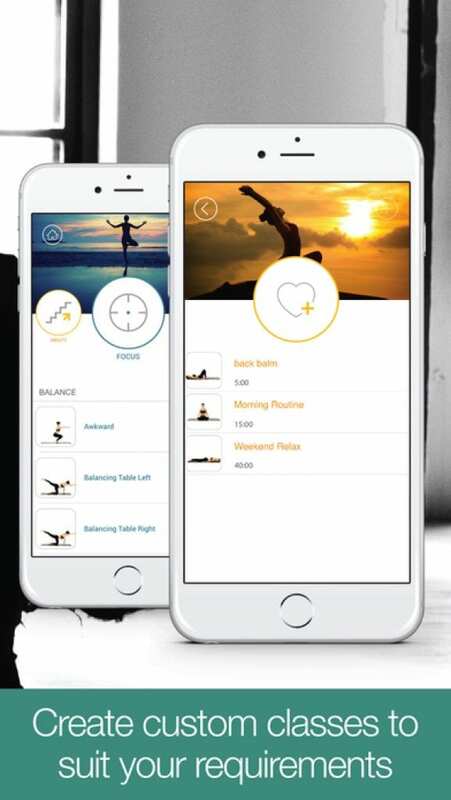 The main feature is that you can create your own class, choosing from 200 different poses, customize a workout duration ( 5-60 minutes) and get advice from the inbuilt experts. Only five minutes of regular sessions per day are required to become healthier and keep your body in a good shape. Developers understand that not everyone can do difficult poses , which require years of workouts and practice. So there you can find sessions created from a large selection of simple but effective poses making it ideal for beginners. Gradually, your level will increase and poses will be more sophisticated and difficult to comply with, but we are sure, you won’t abandon. Quick yoga routines are ideal to start the day, to relieve stress in the office or to help unwind before bed. It is a popular yoga service, containing more than 280 poses, breathing exercises and that kind of things. Moreover, it doesn’t matter, whether you are a beginner or a professional, who does yoga each day for 5 years. 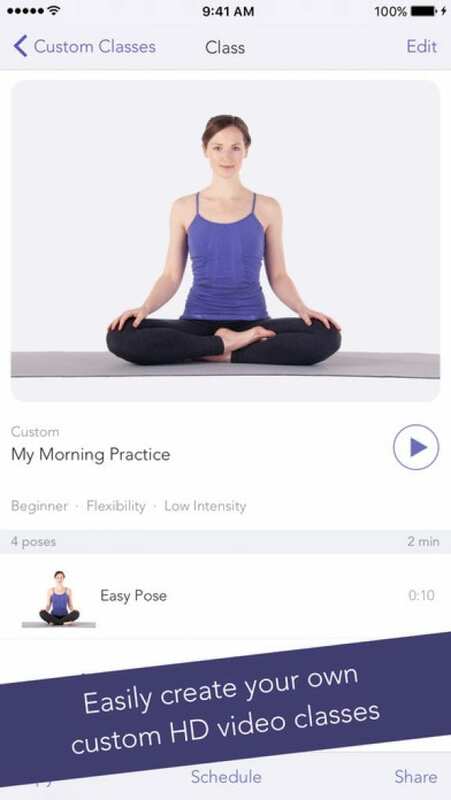 Yoga.com, in any way, provides you an HD video- instructions for each pose, so you can have all benefits of a workout without making mistakes. Another feature that I really appreciate is 3D images, showing our muscles in action, so you can observe what exactly is working at the moment. More than 45 most effective ready-to-go programs are waiting for you. If you are ready to create your own program, just turn this mode on and add lovely poses. If you are a beginner, Simply Yoga is the best way for you to become a part of the Yoga World. There are more than 30 different effective poses which bring you a lot of utility. You can choose one of three available workouts for 20, 40 and 60 minutes. HD videos ill help you to avoid making a mistake, doing each pose. What I really like is an audio supporting. 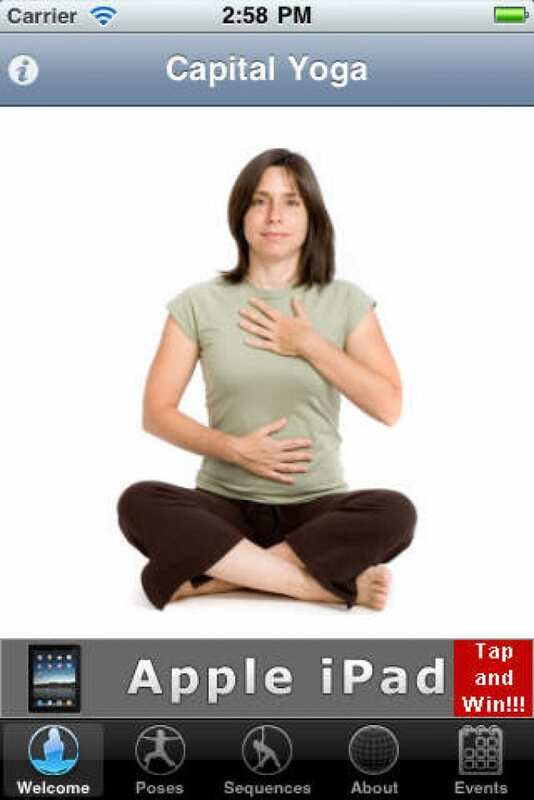 In-Built coach tells you some useful tips how to breathe, where should you keep your hands and how to make each pose. Moreover, it is absolutely free and available on iOS and Android platforms. 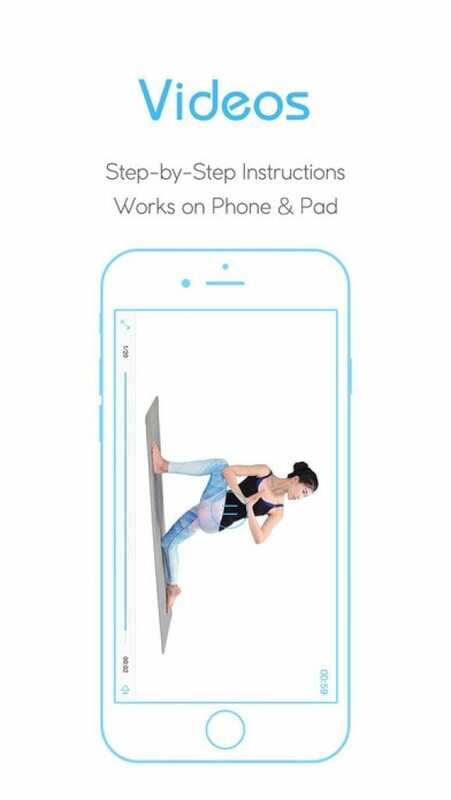 Pocket Yoga means that you can take your yoga classes wherever you go because your yoga coach is on your iPhone or Andriod phone. 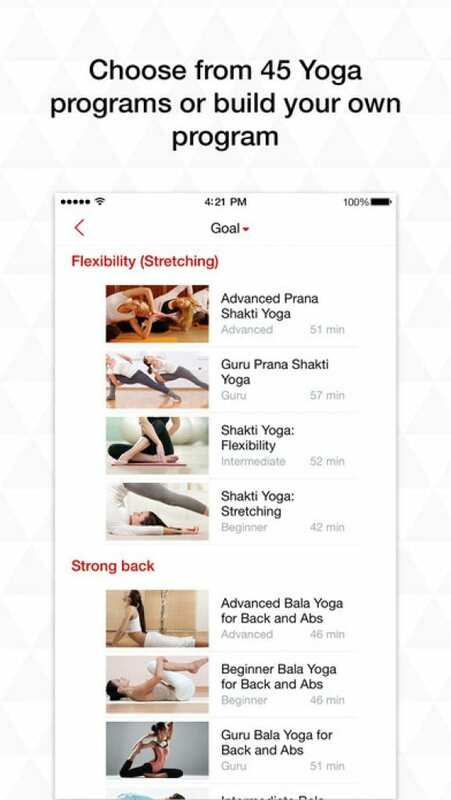 For better understanding the nature of yoga, you can use the dictionary, available in the app. There you will find the names, right doing and so on. Moreover, you are given the choice of choosing one of 27 best-selected sessions to have an effective workout. 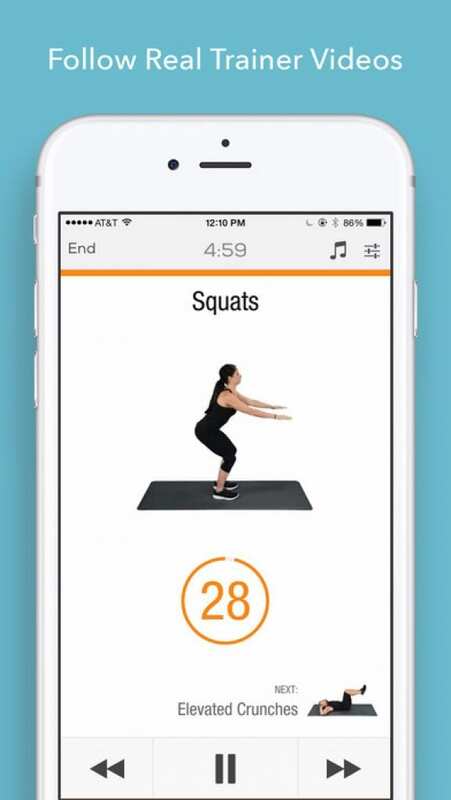 Add music, exporting from iTunes or your library to make a workout not so routine. Music is very important part of yoga, it should be relaxing and keep you calm. 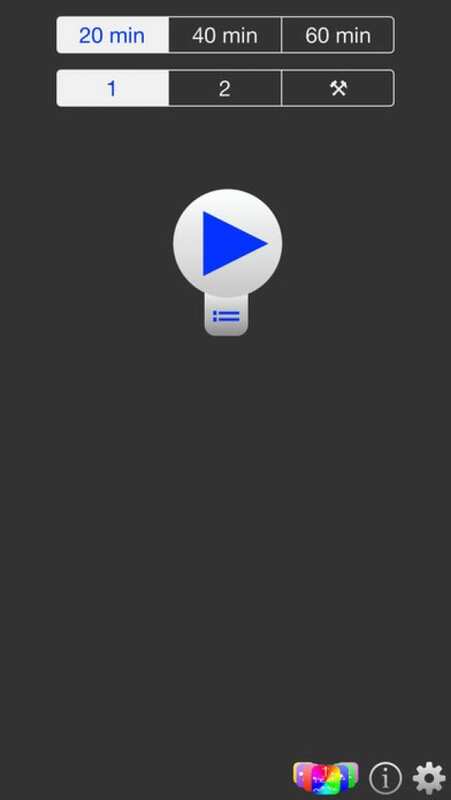 Another well-designed app with understandable, minimalistic interface and its features. 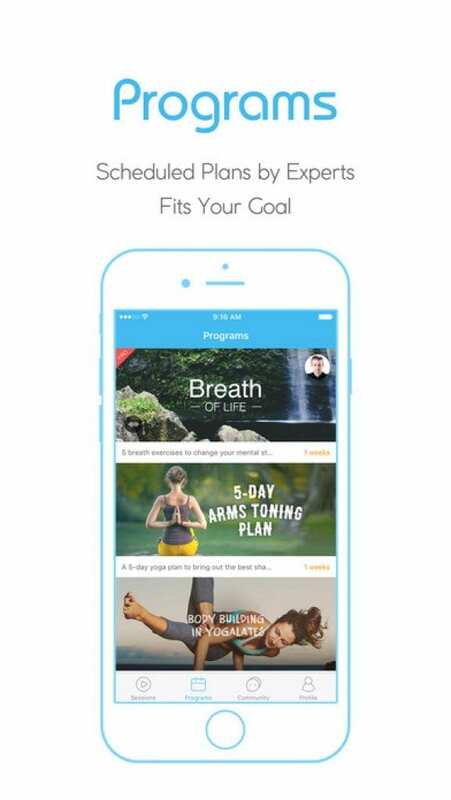 The app cooperates with the expert of yoga- Tara Stiles- so to provide the perfect experience made just for you. You can follow absolutely different goals from gaining flexibility to losing weight. 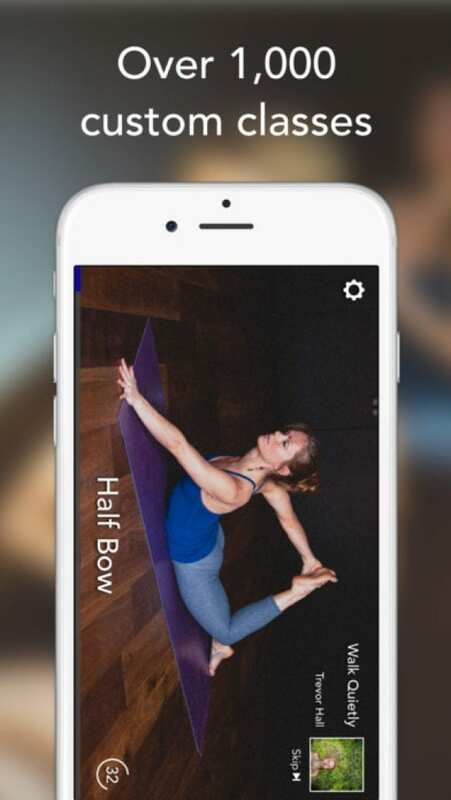 The app tries to collect the most suitable sessions, containing only effective poses and pose combo. 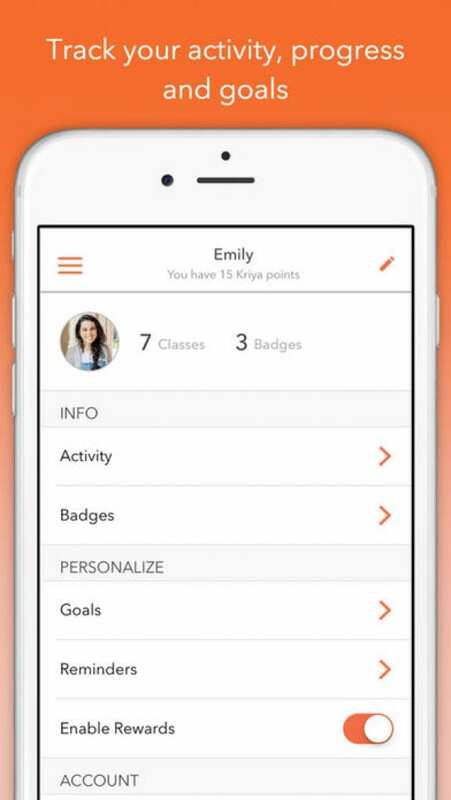 The app is always developed,based on people’s feedback and comments, so new sessions will wait for you each month. 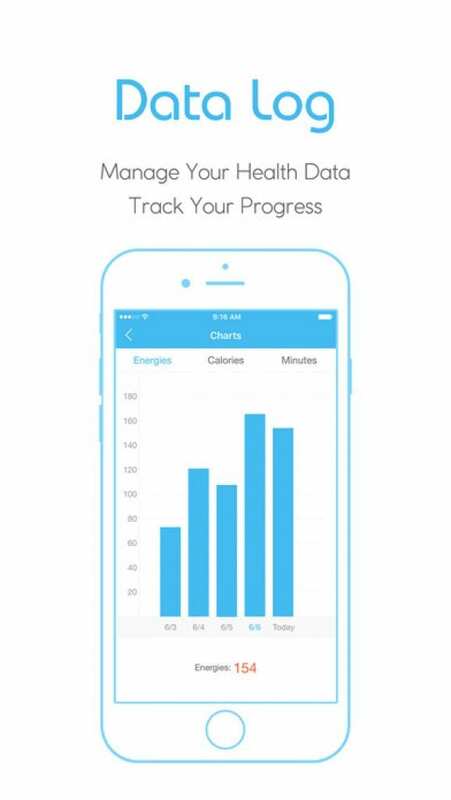 What is more, you can measure your progress and achievements, using smart bracelet or watches such as Fitbit, Jawbone UP, or MyFitnessPal account to automatically sync your weight and consolidate your fitness activity. Sometimes, we are get bored, doing the same poses, everyday routine, but you have no money for paid subscription. Down Dog is your problem solution. 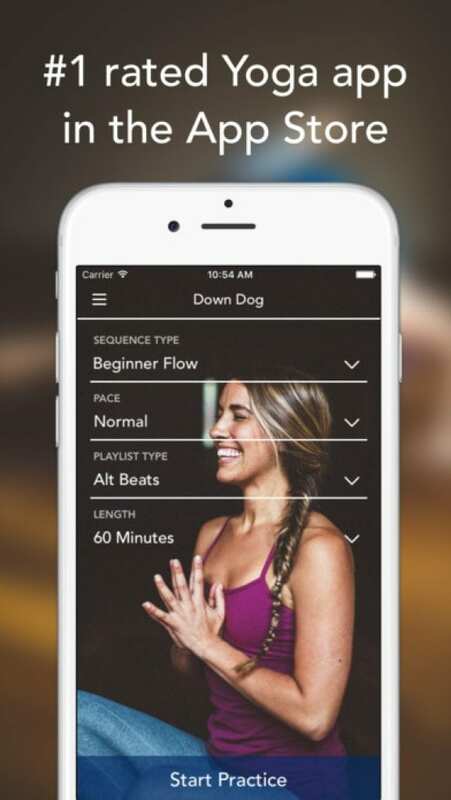 Each time you practice, Down Dog creates a brand new vinyasa yoga sequence so that you never run out of content. Clear vocal instruction and a matching playlist round out the experience for a true studio-quality class. By the way, you can choose a playlist by yourself and a time you want your workout will last, the app immediately selects the best session for you and your needs. 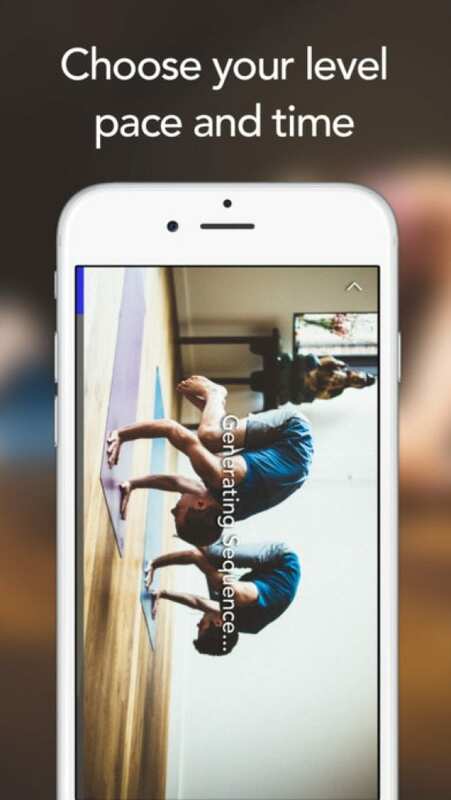 Another perfect app for everyday yoga.There are more than 70 ready-made yoga & meditation classes with HD video instructions, so you can make your workouts more efficient and productive. All sessions are easily customized or you can create your own unique HD video classes, based on a huge Library with 280+ poses , detailed advice, and instructions. Tackle workouts that specifically target flexibility, relaxation, strength, and more. 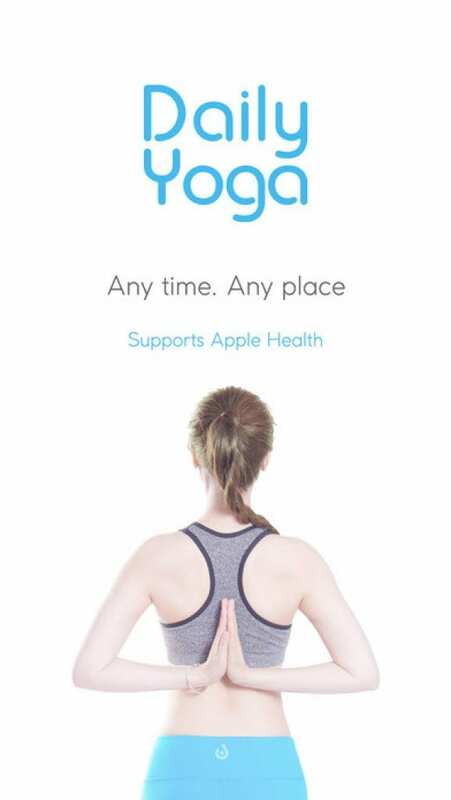 Now you will never miss your yoga time or forget about it. 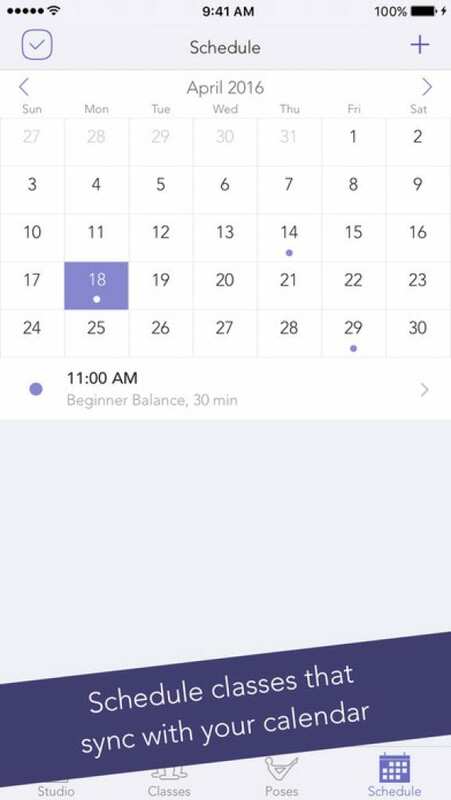 The app helps you to stay on track with class scheduling, which is a perfect benefit as for beginners as experts. Choose from several background music and ambient sound options, or create playlists from your personal music library. 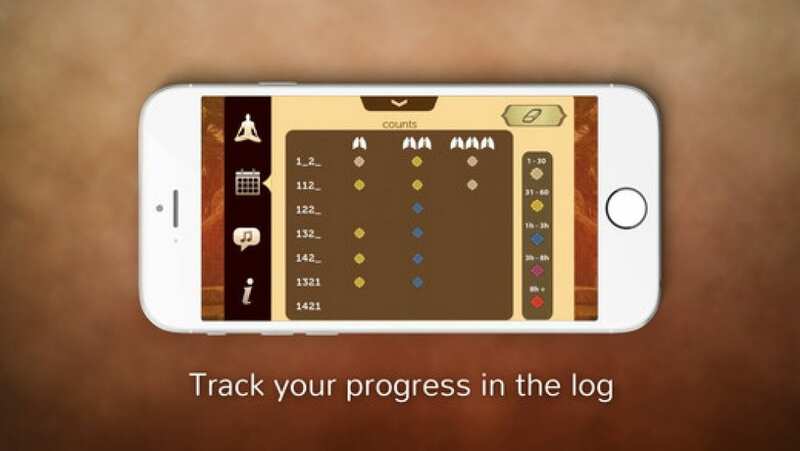 Also, it is supported on your TV with Apple TV (Gen 4) app or AirPlay, so Play classes directly. For those who is tired and want to relax after a difficult and hard day at work, we recommend to start doing yoga, at least, fifteen minutes each day with Universal Breathing- Pranayama. 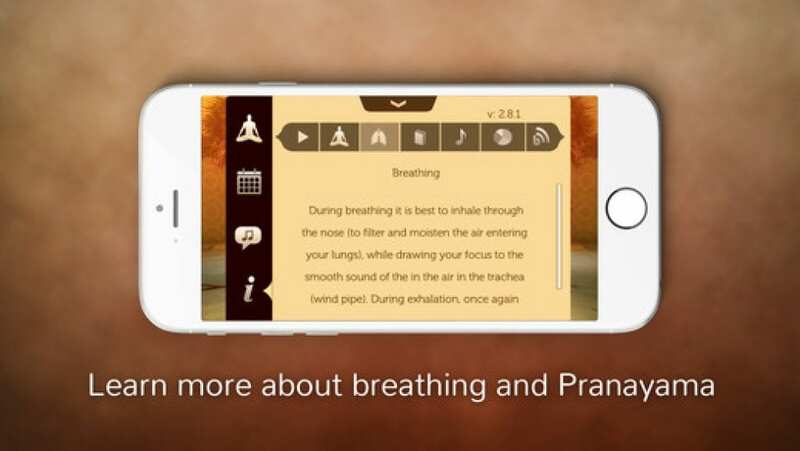 It is the professional app created by doctors, designers and app developers to provide the perfect breathing experience. It is based on a technique of right breath work, not just about twisting and stretching your body. What will you get practicing in breathing every day? 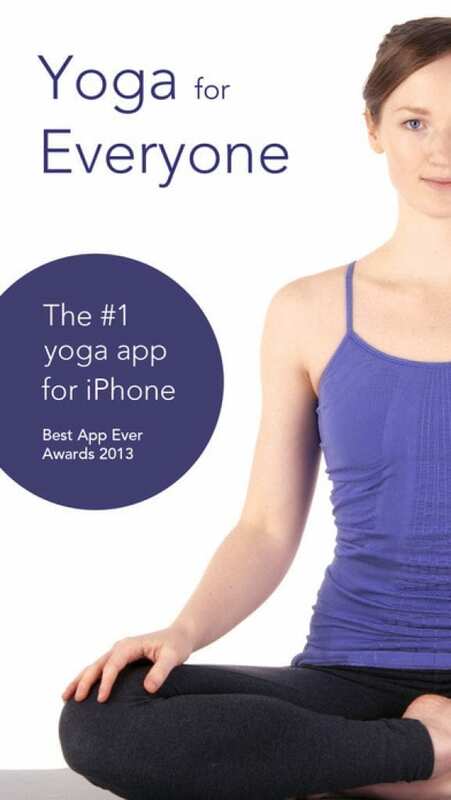 An app is created by 8 super professional yoga experts, so don’t doubt whether this app is the best or nor. 100 unique yoga & meditation exercises with the largest database of 500 yoga poses, beautiful HD videos, guided meditation, soothing music, social community, and more. There are several features that make this app on of my favorites. First of all, you can choose a session which satisfies all your needs. For example, if you want to focus on strengthing your abs, choose 5×5 Abs Toning Plan, or if you are a beginner- 12-Day Beginner Tour is up to you and a lot more sessions are available. Secondly, only you customize the duration and suitable time for each workout. Last but not least, you choose lovely music to enjoy the process of yoga. Yoga is not only for gaining flexibility, but it is a good way to fight depression. While you doing yoga poses, you get all bad thoughts out of your head and give it and your mind an opportunity to relax. All you need is to set some goals and follow your schedule. Yoga- Track yoga can help you to organize yourself. Due to its various sessions, you can create your personal week of workouts. There are several interesting and effective yoga programs, created as for women as men: Full Body Fitness, Yoga for Depression, Yoga Workout, so everybody can find something for everyone. 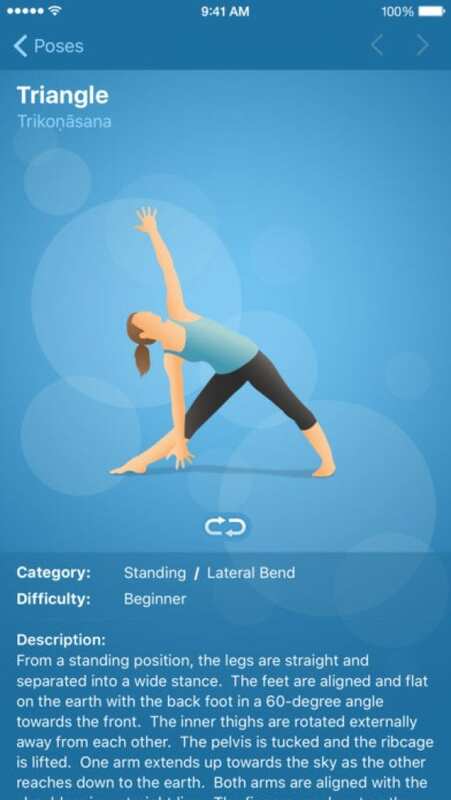 Apart from a personal yoga teacher, who will get you useful tips and advice, HD instructive videos with all recommendations and yoga’s poses dictionary, you will be able to collect badges that motivate you further by completing yoga milestones. Exercise is the key to life. Keep the body strong and your mind free. Although some think yoga is only for relaxing and staying calm, yoga is a great strength builder and some of the strongest people in the world perform yoga on a daily basis to reduce stress and build muscle. Due to specially selected programs, sessions, and poses you will achieve your goals as soon as you start doing yoga every day during a month. 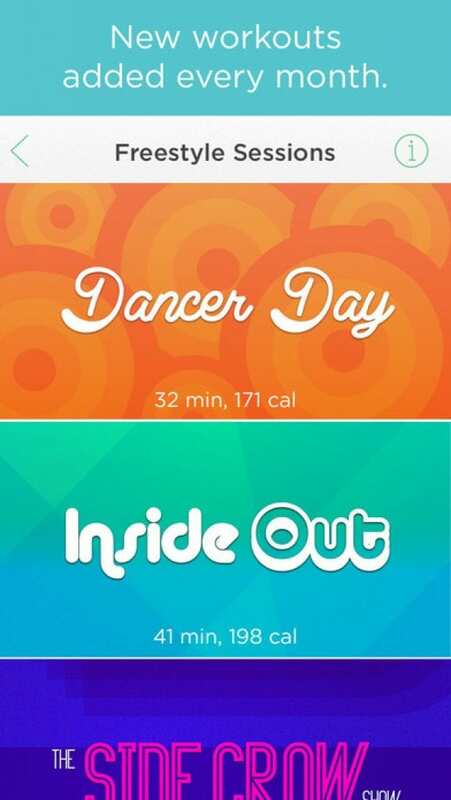 The app consists of over 40 poses and 8 routines, which you can combine to create your own workout. Some of the poses are beginner level and some are for more advanced. A full guide to the world of yoga. Yoga courses are designed by certified yoga instructor and expert with 20+ years Hatha yoga teaching experience. Detailed sessions for beginners go to sessions for advanced level poses. The courses are step-by-step, the following course for upper level will be unlocked only if the previous course be finished. 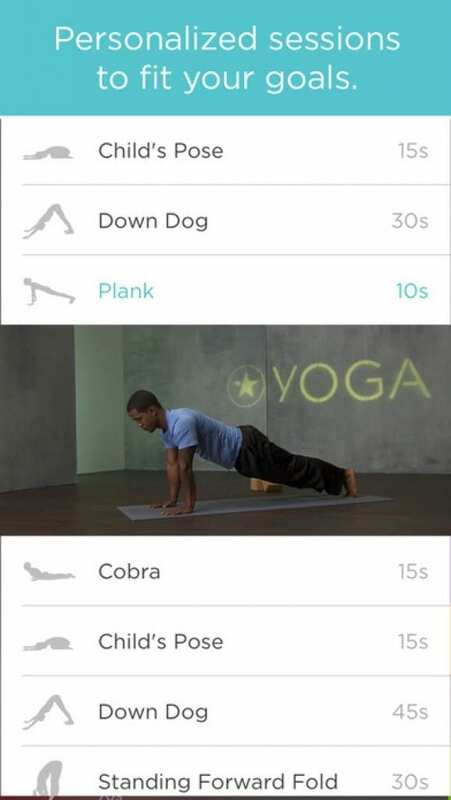 Reminders for yoga routine workouts are available for setting at a sidebar. There are also several well-designed and detailed programs, which can help you to gain flexibility, fight depression and become more morally and physically stronger. examples of free or paid sessions : Relieve Hangover, Relieve Labor Pain, Relieve Backache, Office Yoga. 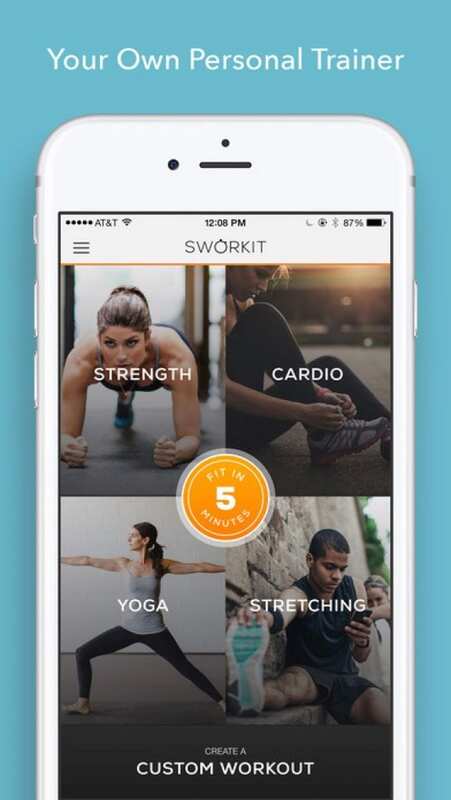 Unlike other apps in the study that limit workouts until upgrading, with Sworkit you enjoy all the free workouts Sworkit has to offer and then choose to upgrade to Sworkit Premium when you are ready to unlock new workouts and features that help you achieve your goals. There are 4 available modes : cardio, strength, flexibility( stretching) or yoga. In every section are specially selected sessions containing several of 200 different poses and combinations. What is more, you can choose your favorite music as a background, so you can get all satisfaction from your workouts. Remember, that it is necessary to hear your body and feel it! If you are not easy-going and you need to make an effort to do some activities, yoga is the best option for you. 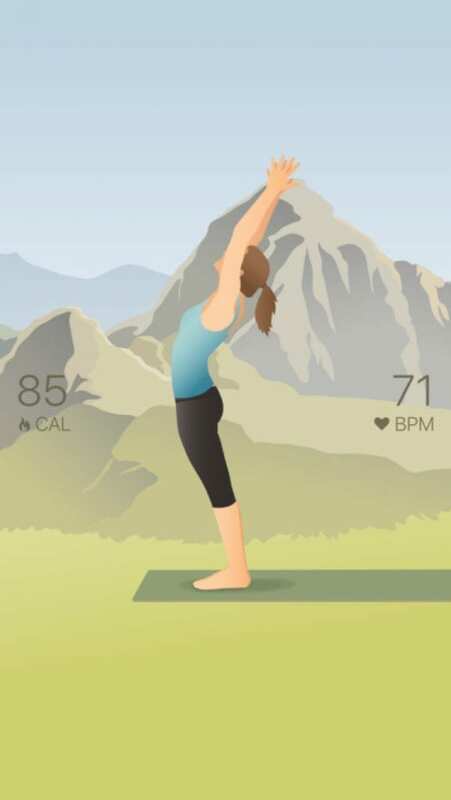 First of all, it doesn’t require any special equipment and place for workouts, you can do yoga wherever you want, all you need is a little mat and your smartphone with iYoga+ as your personal coach. Speaking about its features, you wait for 58 positions, 2 difficulty levels, 8 x 30 minutes sessions and ability to change the interface and vocal supporting language -English / German. What does it mean? 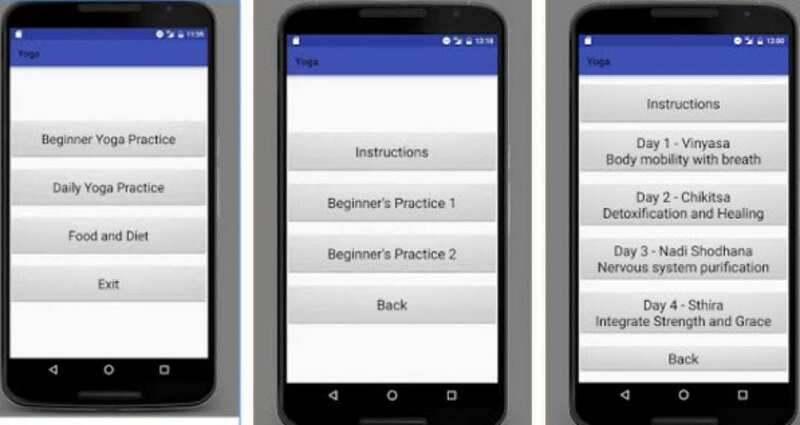 A directory of basic yoga positions, each one offering a full instructional video, exact audio guidance, and text description. Most positions can be viewed in two different difficulty levels. Yoga is your provider in the world of calm and satisfaction, moreover, you will get a thin beautiful body, good health, and positive energy. 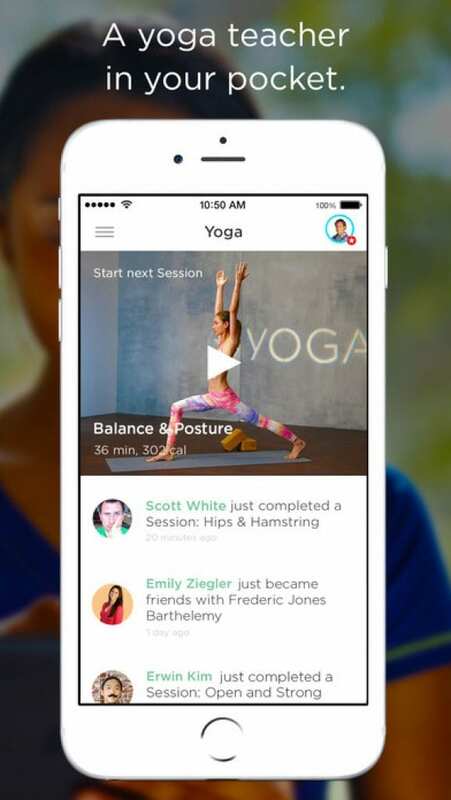 Yoga sessions is an app , consists of lessons, directed to an achievement of your goals. Before beginning a particular session, a user can now view the list of yoga asanas that are going to be practiced in that session. 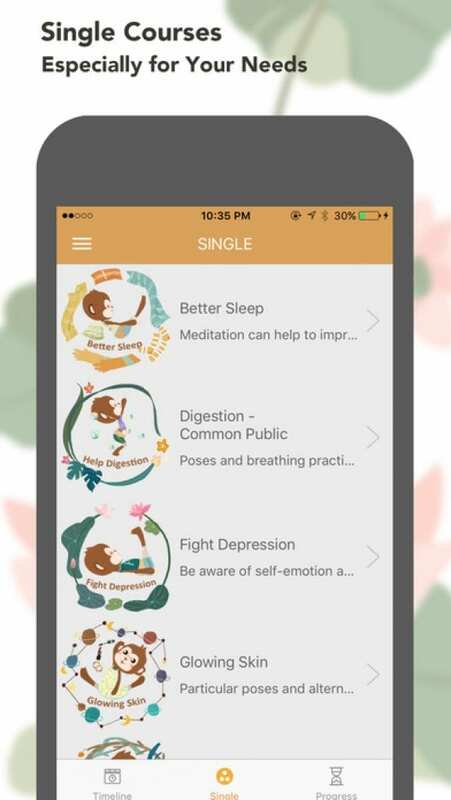 Yoga poses are available in the sessions of this app has vocal instructions for helping the yoga practitioner to follow the voice guidance and perform the pose. 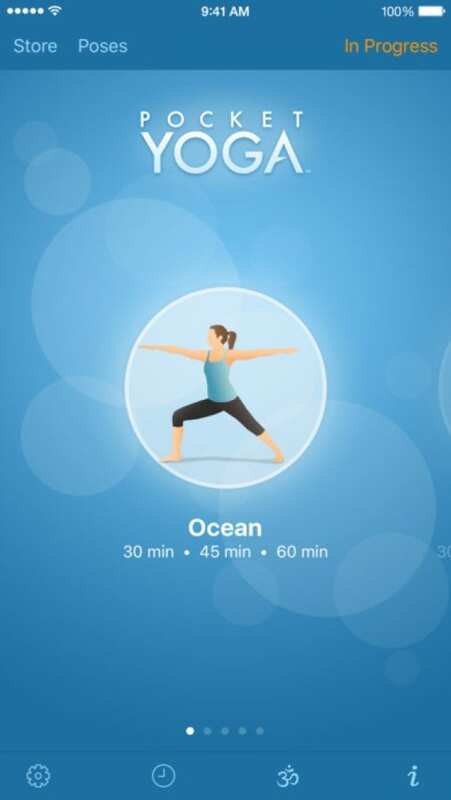 Before beginning the yoga session, a user can take a look at the duration in minutes of that session. It is a good way to star doing yoga, especially if you haven’t done it before. All asanas are described pretty simply and understandably. 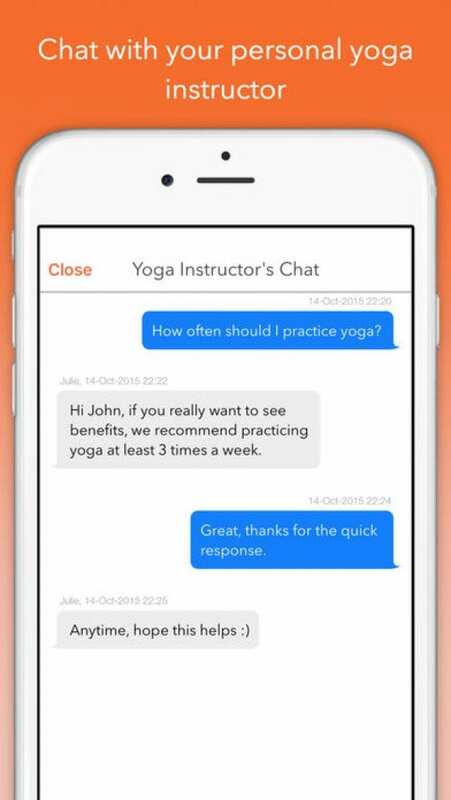 Yoga Monkey is a special project from Yoga GURU developers. The main feature is that design is up to children. Cute 3D Little Yoga Monkey practice yoga poses and breath together with you or your child. Because it is very important to gain child’s flexibility as early as it is possible. Yoga is a perfect way to correct posture, for example. 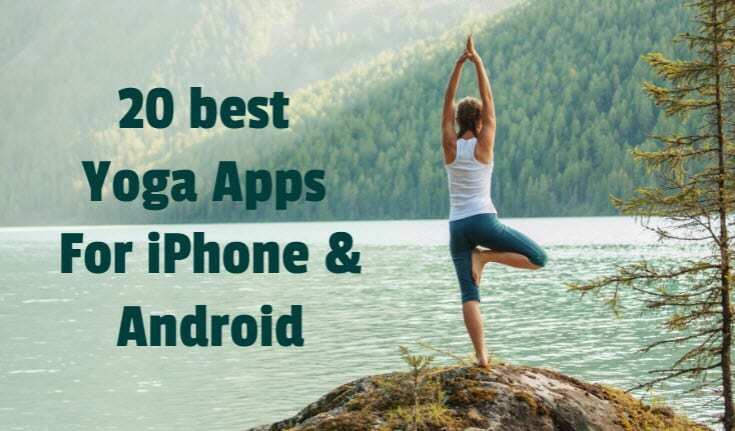 And you absolutely can trust this app because all yoga poses are designed by certified yoga professional with 20 years Hatha yoga teaching experience. For a better progress, you can do yoga with your child and the Monkey. There are 10 available sessions with full instructions and images: Better Sleep, Fight Depression, Help Digestion, Fight Winter Blue, Glowing Skin. 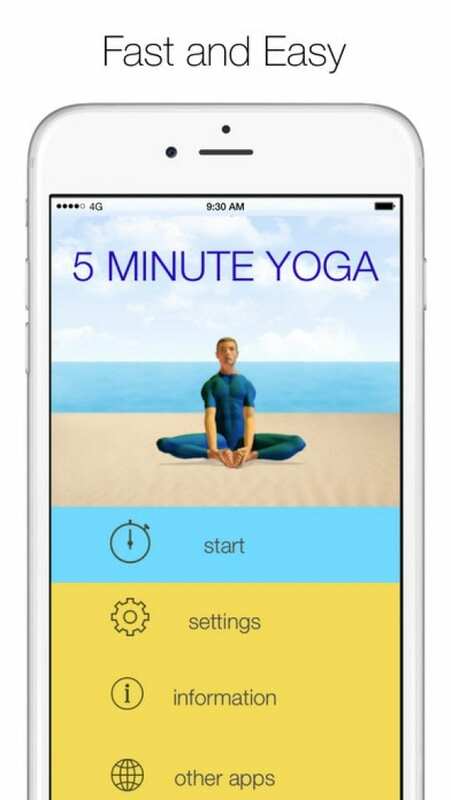 Another cool app for everyday yoga. It is running by professional yoga teacher Jamine Ackert from Ottawa, Canada. She selected most effective asanas and collect them into several sessions. 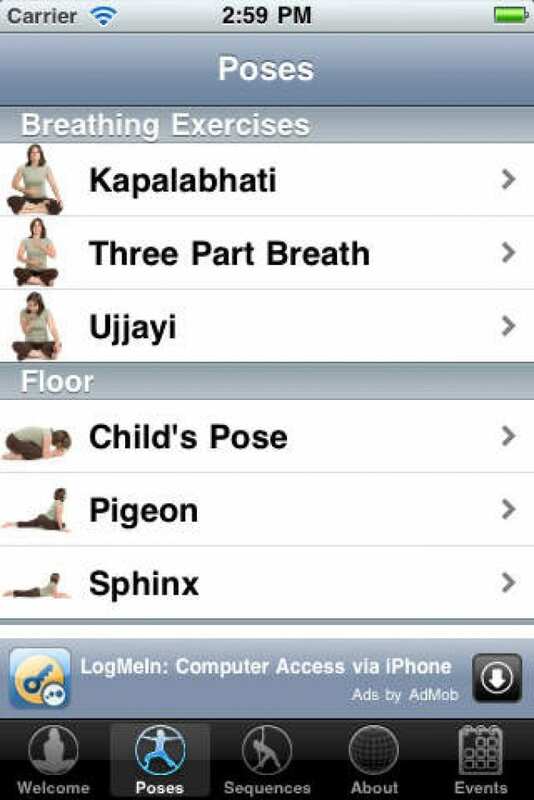 This app includes parts of Jamine’s “Beginning Yoga” class with a list of select poses and sequences. Each pose is described with pictures providing with written instructions and vocal support . 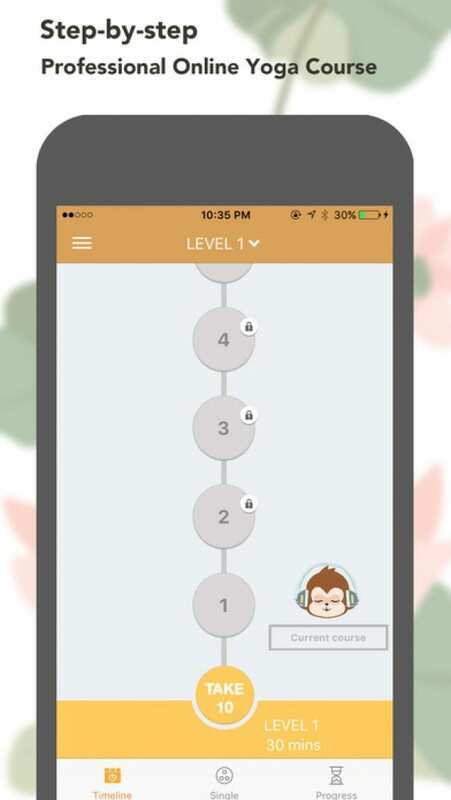 Each sequence can be played with the teacher’s voice instructions, or you can browse your favorite music while you move and breathe. I think, when you see a real human , doing some difficult poses and asanas, a workout is perceived easier and you understand that you are also able to do the same exercises. When you sit in an office without any activities for a long time, your spine suffers. Take a five minutes break and do some yoga. You will immediately notice that your body is becoming relaxed and you get all bad moments and things that happened at the moment out of your head. This course is mostly suitable for office time, or at the snap in the noon. Stretching and twisting can relieve the fatigue and swell of the body. Meanwhile, it can rapidly relieve back pain and neck shoulder tension generated from desk work. No matter you are a yoga beginner or not, these yoga poses can be easily practiced. Don’t forget about doing little exercises every 30 minutes while working day! 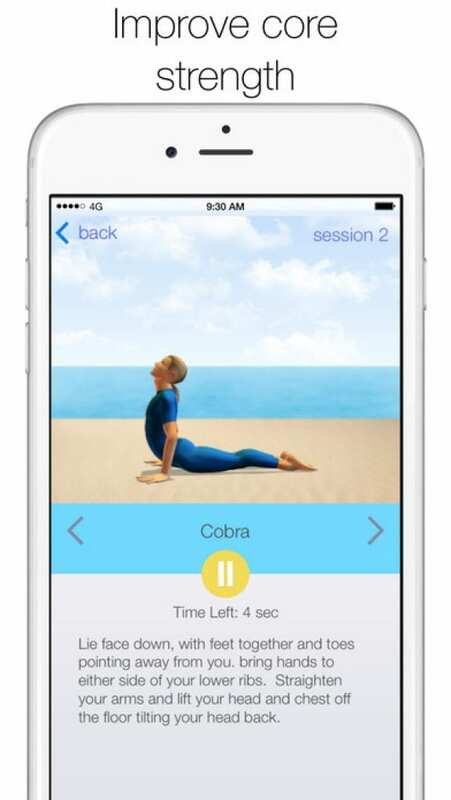 The app is ideal for practicing Hatha Yoga and other yoga styles involving static postures. It consists 33 poses most appropriate for practicing yoga at home. Remember that 30 minutes of yoga practice every day provide you fat burning, losing weight, good posture and gaining flexibility! 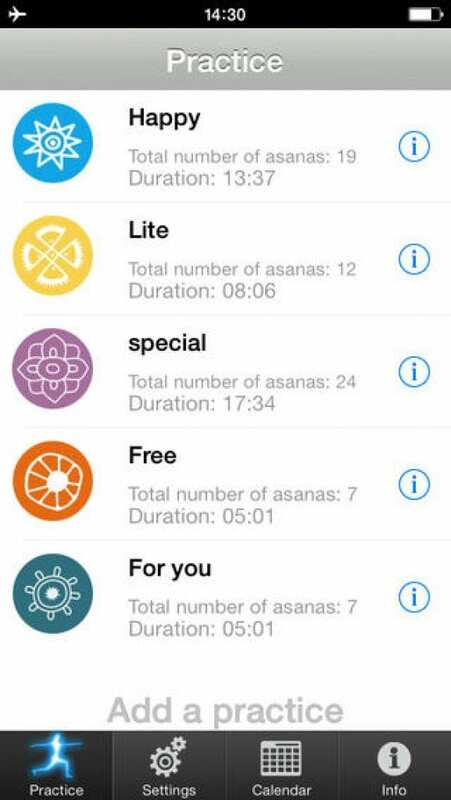 You can customize a workout as you want, choose most attractive asanas, the duration or how long will your workout last and music, of course! You can also change the name of the practice and its image. It is easy to create new practices or delete those that you no longer need. All poses are supported by funny images and detailed voice instructions which will become the best teachers!